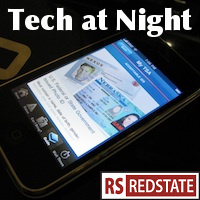 CNN reports Obama admin failed to ensure contractors could test Healthcare.gov Tech at Night: FAA admits its electronics rules were groundless. More NSA stuff. Tech at Night is coming when it’s plenty light out this afternoon, because I need to start getting some sleep in preparation for my 25 hour broadcast as part of the Extra Life children’s hospital charity event. The FCC got two new commissioners this week, a good one in Michael O’Rielly, and a likely bad one in Tom Wheeler. This came only after Ted Cruz got the answers he was looking for. Then again, under Barack Obama that’s the best we could hope for. It’s very rare that I agree with a gun grabber like Dianne Feinstein but come on, she’s annoying the right people by calling out Snowden as the traitor he is. Anyway, now that we have a new FCC Chairman, we can at least hope he’ll take on sensible goals. I won’t hold my breath, but we can hope. Certainly a government that fails so badly to manage its own Internet projects shouldn’t seek to gain more power over the whole Internet. Oh look, Bitcoin crooks stealing from other Bitcoin crooks. It turns out the drug runners of the Bitcoin community aren’t even cooperative with each other, but will instead rob each other. It’s good to see a repudiation of the blame the victim approach that so many take these days with respect to copyright reform. One can think copyright is too long but still think the freeloaders online are parasites hoping that Atlas won’t shrug. Sometimes patent reform is a thorny issue. I’m on record saying that software patents shouldn’t be targeted specifically for erosion, that patent trolls hinder innovation instead of helping it, and that the problem with patents is that too many bad ones are issued. Well, it turns out these principles are coming into conflict under the Democrats’ ill-conceived America Invents Act. I wish we could just repeal that whole law and make the problem go away, then deal sensibly with patent issues.